Jermaine Scott is a PhD Candidate in the Department of African American Studies at Northwestern University. 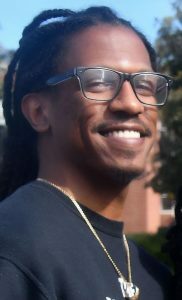 His research interests include the cultural politics of sport, black politics, black diaspora studies, and modernity/coloniality theory. His dissertation seeks to understand the ways in which black athletic collectives in the African Diaspora negotiate the colonial and racial constitution of modern sports, and football/soccer in particular. His writings have been included in ESPN’s The Undefeated, and forthcoming academic journals, and he is an active member of the American Studies Association’s Sports Studies Caucus. Follow him on Twitter @itsjermaine.